This is the first time that i'm doing roundup for the BM theme. As usual, this month BM also has some interesting themes and one among them is "One Vegetable Different Ways". The concept is you have to choose one vegetable as main ingredient and cook it in three ways. Really i liked the concept and had chosen "Broccoli" as main ingredients and cooked three dishes. 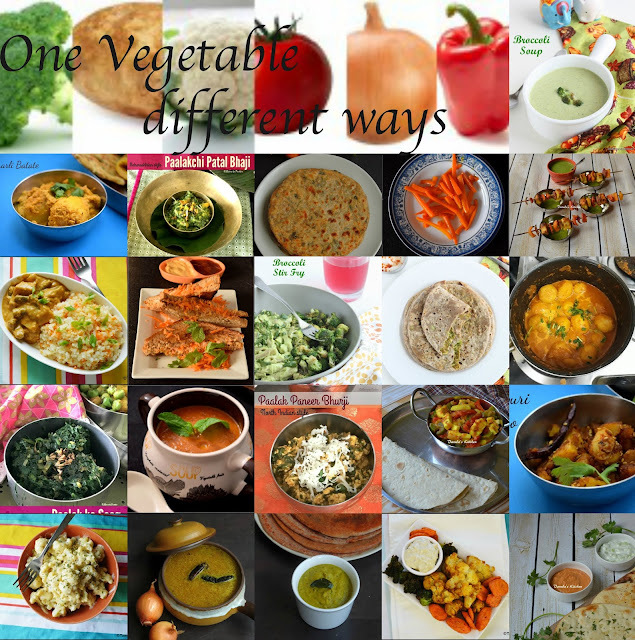 Like me, my fellow bloggers also had chosen the different veggies and came up with some interesting recipes. 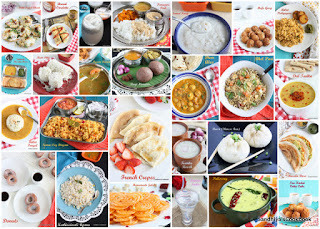 Here is the compilation of all the dishes that we have shared for this theme. What a wonderful collection Sowmya. Love how nicely you have collaged!.. Awesome roundup Sandhiya, well done yaar.